The safety and health of all employees at Timeline Logistic is our foremost business consideration. No employee will be required to do a job that he or she considers unsafe. The Company will comply with all applicable workplace safety and health requirements and maintain occupational safety and health standards that equal or exceed the best practices in the industry. 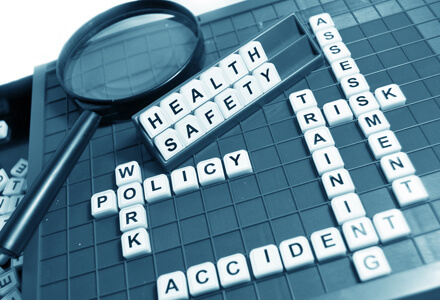 As such Timeline Logistic has developed a comprehensive Health and Safety Management System that places the priorities for workplace health and safety at the top of its priority for everyone. The Company will maintain a safety committee, which consists of management and our employees. It is their responsibility to identify hazards and unsafe work practices, removing obstacles, accident prevention, and helping evaluate the company’s effort to achieve an accident and injury-free workplace. Safety and Security is everyone's responsibility at Timeline Logistic. It begins with the president and encompasses all staff members equally. The effort and focus on safety and security, our people and superior training has positioned Timeline Logistic as a leader among all other road transport carriers in the industry. Timeline Logistic has a strong emphasis on driver safety, while at the same time ensuring the security of its customers’ specialized freight. All the technology that The Company employs assists staff members in maintaining the high standard of safety as set out by the company mandate. The Company actively recruits and hires the most qualified persons for key positions within the company and we work hard to ensure that all employees are trained and mentored to support the industry. Timeline Logistic has mandated that all employees receive comprehensive and ongoing safety and security training that meets, and in most instances, exceeds regulatory guidelines. Training is continually monitored and updated to meet the goals of the company, customer and regulatory requirements. By embracing and utilizing technology to its fullest, Timeline Logistic's information technology, satellite tracking and electronic onboard recording systems enables Timeline Logistic and its customers the ability to achieve the high standards of safety and security that have been established.